Massage and foot treatment services are also available together with bathrobes, slippers and free toiletries. 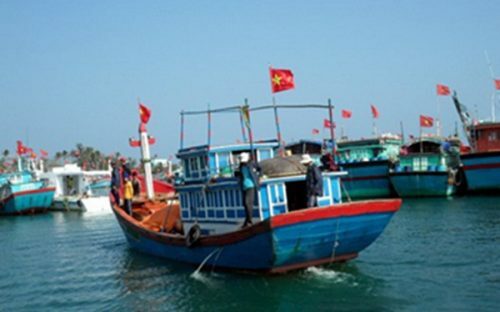 With a small extra fee, guests can also enjoy swimming or kayaking in the fresh waterways of Ha Long Bay. 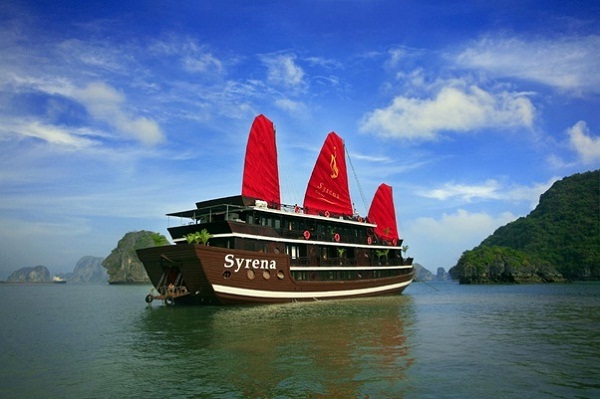 Built in the very harmony with traditional Vietnamese style and contemporary luxury style, Syrena Cruises still remain the high quality of luxury cruising in Halong Bay. Containing of 2 huge ships the Syrena Cruises fleet provides a total number of 34 luxury cabins and suites able to accommodate the maximum of 68 passengers for Halong Bay cruises and hosted events. 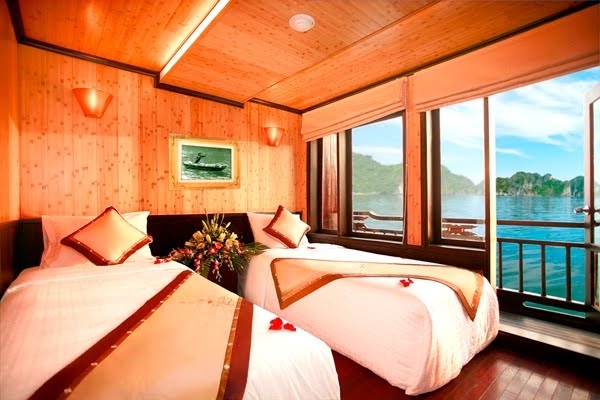 Comfortable, meticulously designed and well appointed with traditional Vietnamese hardwood creating luxurious warmth, all of the Deluxe Cabins and Suites are equipped with individual air conditioning, in-house telephone, large screen flat TV, safety box as well as bath amenities. Being bright and airy all day long thanks to the light materials and clear windows, all cabin are ideal place for you to admire the stunning scenery of Halong Bay. The Deluxe Cabin covering a total area of 20 square meters offers all of the essential facilities including twin beds or a queen-size bed, air-conditioner, en-suite bathroom with shower to make you feel comfortable all the time. The two spacious Suites, each covers an area of 25 square meters situated in the forward part of the lower accommodation deck are perfect place for you to enjoy all the quality amenities like the Deluxe Cabins with the addition of a bigger ensuite bathroom equipped with a bathtub, picture windows and a 32 inch LCD television. 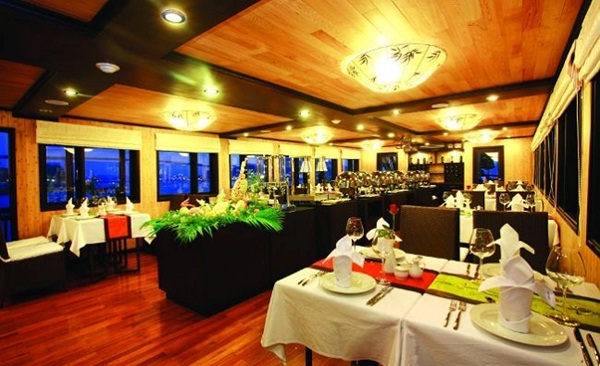 Representing the current and traditional cultural influence of Vietnam, the Lotus Restaurant offers guests from Vietnamese to International cuisine with the very diversified menus. In this luxury restaurant one will have an aromatic and exceptional opportunity to savor and experience the culture and food traditions all over the world. At Sunset bar where a wide variety of beverages and snacks available all day long, tourists can sip a cocktail, a glass of impressive wine or a cup of fine beer to enjoy the bay atmosphere in a special way. 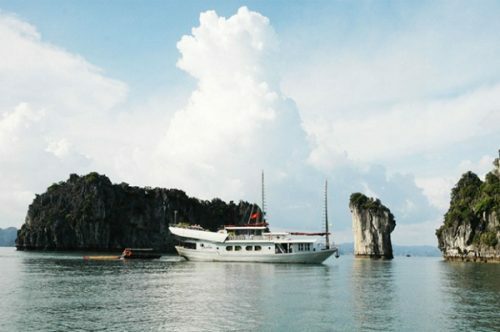 Our Indochina Voyages promise to bring you the best holiday exploring the charming beauty of Halong Bay on this Syrena Cruises with the best services at reasonable price.